Decided to get a few more of these swatched. I decided to list all my pigments on another spreadsheet here and now I feel like I need to swatch them ALL. One day, one day. 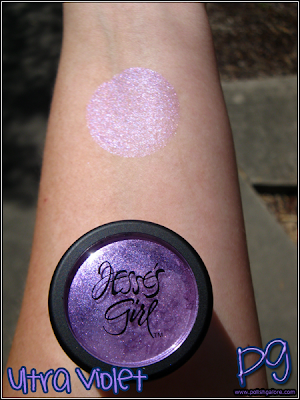 So Jesse's Girl Cosmetics Ultra Violet is a light purple eye dust with almost a pink lavender hue. It looks so much darker in the pot than on the arm. 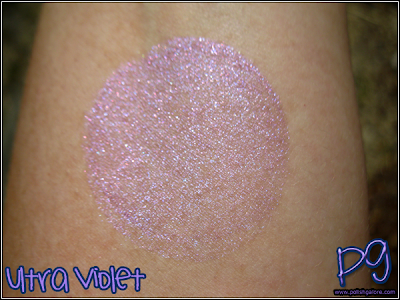 Again, this is one swipe of product, no primer. Here's a side shot in the sun, and you can see how it's not opaque. 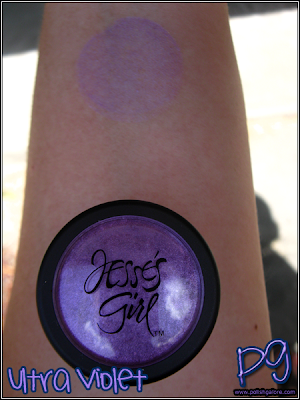 Here it is in the shade, and I don't know what on earth happened haha. It almost looks chalky? I think it's just bad lighting. 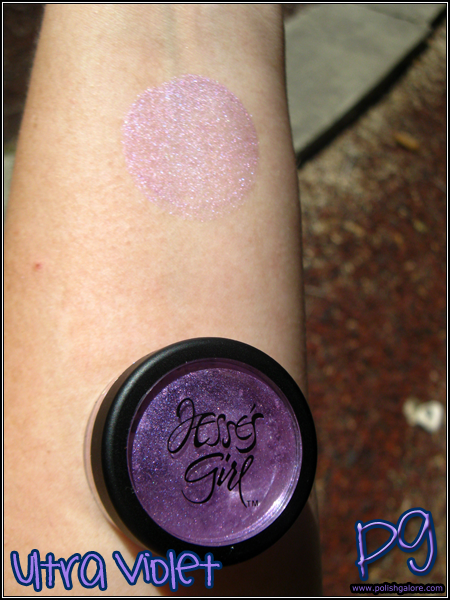 I'm obsessed with purple, so you better believe I'll be using this a LOT.